Welcome to the official site of Country Auto. Founded in 1981, we have over 30 years of experience in solving automotive and trailer needs. Located on Highway 116 near Biggsville Illinois, we have become one of the largest dealers of trailers in west-central Illinois with over 70 trailers on our lot. Welcome to the home of Country Auto. One of the largest providers of quality trailers in west-central Illinois. We're a quality driven dealer of trailers from the highest caliber manufacturers located on Highway 116 between Biggsville and Stronghurst, IL. We carry a large variety of new and used trailers including dumps, flatdecks, utilities and carhaulers. We have over 70 trailers in stock to help fit your every need. We not only carry a full line of new trailers, but we also have a large selection of high-grade used trailers. If you're looking for a higher class of trailer at a low price, Country Auto can help you find what you are looking for. We have a full line of used trailers qualified by our in house mechanic to ensure customer satisfaction. We have a large variety of used trailers that come in various shapes and sizes including dumps, flatdecks, utilities and carhaulers. At Country Auto, we have partnered with some of the biggest names in trailer manufacturing to help bring you the highest quality of trailer products. 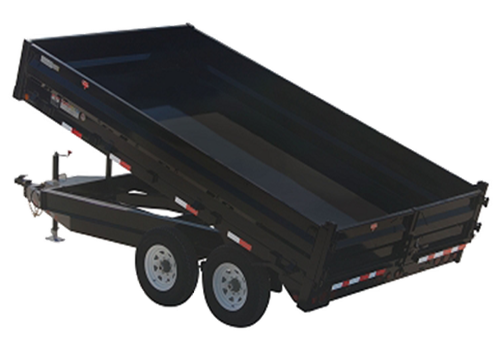 View our featured trailers page to see more information about our standard manufacturers.